This nice chocolate wooden gift box is made from white plywood. It is very light and smoothy. Outside this gift box we could imprint or hot stamp customer's logo or design. All the wood and glue we are using for this box is food safe and reach E1 standard. This white box is very nice for your chocolate packaging. Also it is oftenly used for cake packaging, since it is very neat and clean inside and outside the box. 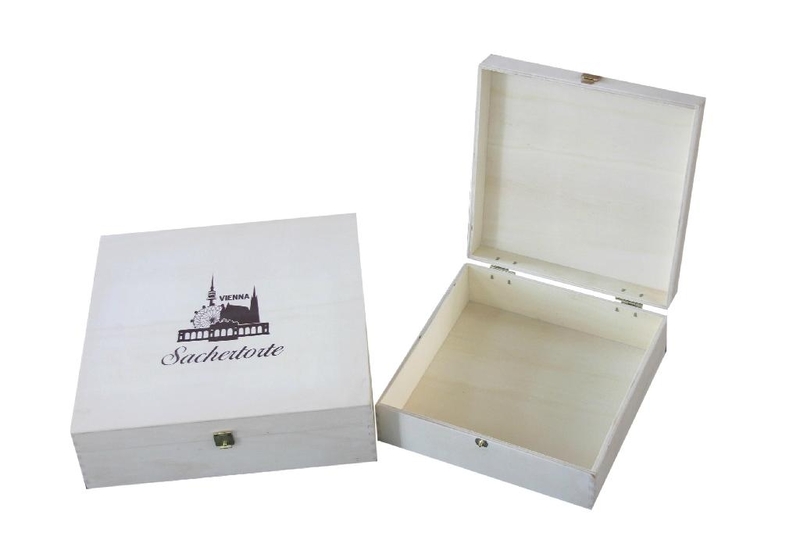 We take great pride in manufacturing the highest quality, custom made chocolate wooden gife box and wooden tea boxes for each and every customer. We have the skilled workforce and expertise required to meet any and all of your wooden box needs.